Although most commonly known as a pain relief method for women in labor, epidural injections can alleviate discomfort from a variety of conditions. People suffering from herniated discs, fractured vertebrae, spinal infections, or many other chronic pain conditions can also benefit from an epidural injection. An epidural injection is delivered directly to the epidural space surrounding the spinal cord. There are two nervous systems in the body: the peripheral and the central. The central nervous system includes the brain and the spinal cord. The peripheral nervous system relays sensory information from the body to the central nervous system. The spinal cord, which is padded by cerebrospinal fluid and encased by a membrane called the meninx, is located inside the spinal column, or spine. The epidural space is located between the meninx membrane and the spinal column. It is here that an epidural injection is delivered. This places medication directly where it’s needed. When an anesthetic, such as lidocaine, is injected into the epidural space, it blocks pain signals being transmitted along the nerves of the spinal cord. In the case of an epidural steroid injection, a steroid is injected in addition to or instead of a pain medication. The steroid can help reduce the inflammation that irritates nerves and causes pain along the spinal cord. However, epidural injections are not meant as a cure for underlying conditions. Rather, epidural injections are a way of treating pain. This may be to simply provide some relief for an individual with a chronic pain condition. Alternatively, this may be to relieve pain enough so that the individual is able to take part in exercise or therapy that will treat the underlying condition. A host of painful conditions can be alleviated by epidural injections. Many of these conditions, such as sciatica and osteoarthritis, can be alleviated by gentle exercises or physical therapy. An epidural injection that relieves pain temporarily can allow individuals to pursue alternative ways of treating chronic pain, such as exercise. 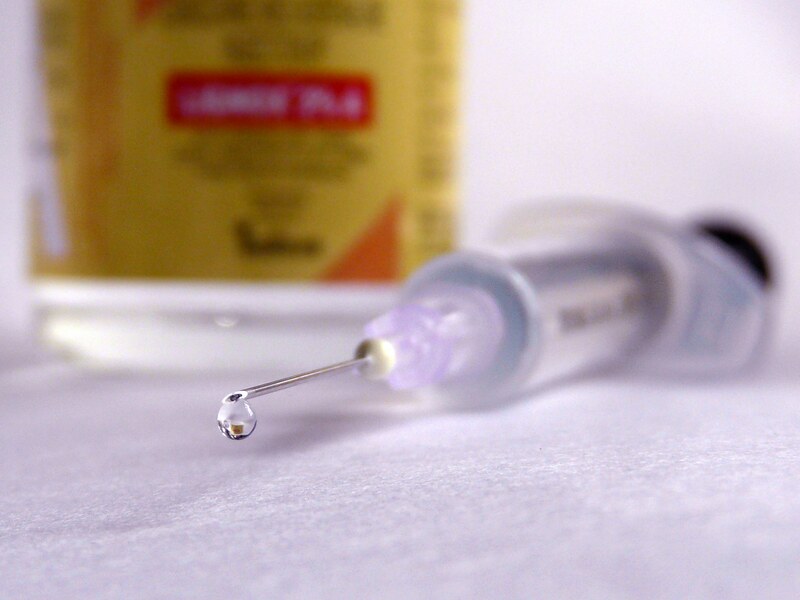 Epidural injections do, however, carry some very serious risks. Some of the risks involved in an epidural injection are related to the medication that’s injected. For instance, an epidural steroid injection carries several of the same risks as any other steroid. These risks include a steroid flush, elevated blood sugar, nausea, or water retention. In some cases, problems like bleeding or infection can occur at the injection site. These problems, however, are rare when the procedure is carried out by a careful professional who follows safe medical practices. Rarely, very serious issues can arise from epidural injections. These issues can include nerve damage, spinal cord injury, paraplegia, or quadriplegia. Problems as dire as these are generally the result of an incorrectly placed needle. Because of the potentially devastating effects of incorrectly placed epidural injection needles, effective imaging techniques are essential. According to an article published in the newsletter of The Official Journal of the Anesthesia Patient Safety Foundation, the most serious complications of epidural injections are typically caused either by the incorrect placement of the needle or the injection of a substance into an area where it can do harm. Both of these causes are the result of poor visualization and incorrect execution of the procedure. A commonly used imaging technique for epidural injections is a small X-ray device called fluoroscopy. This device uses radiation to provide visualization of the bone structure, which allows the physician to navigate the needle between the vertebrae of the spine. Contrast dyes, which are also visible with fluoroscopy, are sometimes used in conjunction with this technique. While fluoroscopy shows bone structure, ultrasound imaging shows the soft tissues, in addition to the needle tip and the medication as it’s injected. In fact, according to The New York School of Regional Anesthesia, using ultrasound imaging for epidural injections reduces the number of puncture attempts, improves the success rate of the first attempt, and improves the comfort of the person undergoing the procedure. A newly-developed use for another imaging technique, called optical coherence tomography (OCT), could further improve visualization for precision-guided epidurals. OCT uses light waves to visualize tissue. It has been used mainly in ophthalmology so far, but recent advances have made OCT a viable imaging technique for other medical practices. OCT may have applications in such diverse fields as gastroenterology, dermatology, gynecology, neurosurgery, and rheumatology. However, a research team led by Yu Chen, a bioengineer at the University of Maryland, has developed a way to use OCT imaging in precision-guided epidural injections. The team has miniaturized an OCT device, which allows it to show physicians tissue from the perspective of the needle tip. So far, the OCT precision-guided epidurals have only been carried out on pigs. The tests have been successful so far, and the research team is hoping to conduct a pre-clinical study within the next year. Have you ever undergone an epidural injection?